HomeElect Nandita Narain as DUTA President! 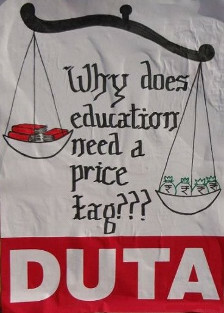 Elect Nandita Narain as DUTA President! The DUTA elections, scheduled for 29 August, are being held at a time when teachers face an assault that is unprecedented in the history of this University, from a despotic administration backed by the Government and supported by some major teachers’ groups. Freezing of permanent appointments, refusal to fill up teaching positions sanctioned on account of 54% expansion in intake, cutting down teaching posts under FYUP with the added threat of subject-wise workload variability are matched by the holding up of promotions for permanent teachers and a system designed to deny promotions. The DU administra-tion aims to wield absolute power over all sections of the university community as it pleases its masters whose policy of expanding higher education is geared to private investment, domestic and foreign (specifically, American) and “for profit” edu-business. Today while the people are demanding their right to education, the Government wants to offer it as green pastures for the Global Market. In the name of academic restructuring, the administration led by the VC has created a complete mess, the consequences of which are being borne by students and teachers. The bulldozing of the semester system and the FYUP has rendered everything from workload to appointments and service conditions uncertain. Rules, rights and entitlements are confined to the Ordinances in the University Calendar; the authorities twist and interpret them according to their own whims. Dissent is reduced to mere numbers and unprovoked hostility unleashed on teachers who dare to disagree. The Regulations on Ad Hoc appointments are being used to victimise ad hoc teachers and deprive them of basic rights. While DU has been quick to implement Government’s policies on academic restructuring, it has dragged its feet in implementing the Reservation Policy in teaching posts. With the active collusion of the AAD-INTEC and even important leaders of the NDTF and UTF, the VC has tried to project teachers as inefficient, corrupt and irresponsible. Instead of questioning his intentions, these groups tried to push the DUTA to bargain with the VC over the threat of Biometric Attendance and compromise its opposition to academic restructuring and administrative misgovernance. Their support to his fraudulent Academic Congress and unauthorized Task Force proved crucial in determining the anarchic structure and low quality of the courses under the FYUP. They actively aided the VC in his efforts to coerce teachers into meekness and passivity. Though teachers’ views against FYUP were clear and Staff Associations overwhelmingly passed resolutions against it, these groups delayed a collective decision by disrupting meetings of the DUTA Executive continuously. The requisitioned DUTA GBM held on 12 MAY was a befitting reply to this betrayal. Teachers came in large numbers and passed a unanimous resolution rejecting the FYUP and demanding the VC’s removal. Many teachers joined the campaign against its implementation under the banner of the Save DU Campaign and the JAFDE. Consequently, the Government has been at a loss to justify its hasty introduction and to answer the uncomfortable questions put to it by leading intellectuals, MPs and the media. The refusal to engage with the DUTA, while hobnobbing with certain groups of teachers, the attempt to reduce the DUTA to a body subservient to the administration is a part of redefining teachers’ role. Unlike the accepted principle which valued debate with free and fearless exchange of ideas as the cornerstone of what a university should be, the present administration looks at teachers as mere subordinate employees who are required to deliver what they are instructed to do. Indignities have been heaped on teachers – threats of action if they spoke out or participated in DUTA protest actions, direc-tions to record their presence for the whole day to stop their participation in such actions, pay cuts, victimisation and harassment. All this is aimed at undermining teachers’ morale and the fighting strength of the DUTA. Will we allow them to succeed or will we fight back with greater determination? 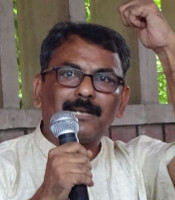 With intensive campaigns under the banner of Save DU Campaign, JAB and JAFDE, FYUP became the target of wide criticism within and outside the University. Innumerable news reports, articles, discussions on TV channels and editorials in leading newspapers drew attention to the adverse consequences of rushing through such a major change. 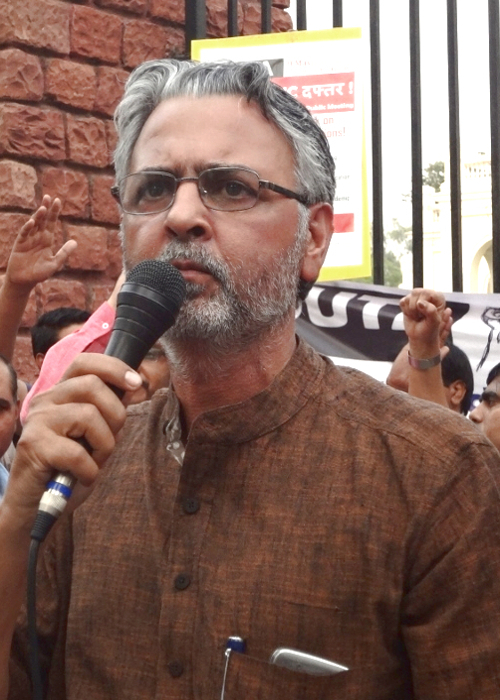 Representations by teachers, students, concerned intellectuals and MPs urged all levels of the Government to intervene and halt Delhi University from hurtling towards disaster. The Government stuck to the false argument of “autonomy”, as an excuse for (deliberate) inaction. Autonomy surely cannot mean the licence to violate National Policy. Delhi University has been in a state of utter chaos and confusion ever since admissions to FYUP began. For the first time windows were closed before time on aspirants because of over admissions in various courses. Students and parents knocked on every door including the VC’s but without any effect. Colleges are ill-prepared in terms of infrastructure; students are already complaining about the Foundation Courses, which form such a major component of their timetables and teachers are feeling embarrassed and harassed in teaching these dumbed down courses. The structure of FYUP has increased fluctuation in workload. It has already resulted in shrinking of MIL departments, for example, with many teachers losing their jobs. Colleges have only been able to retain workload in most cases by academically unsustainable means. In the name of students’ choice, FYUP leaves it to the market to govern which courses will be preferred and hence offered in times to come. The ramifications for affordability, equity, choice and quality will now start to unfold for students. More than a 1000 students protested on 7 August. The JAFDE is organising a National Convention on 8 September to chalk out a nationwide action programme. We must take forward the struggle against FYUP. Central to our struggle has been the issue of permanent appointments and implementation of UGC Reservation guidelines of 2006. Over 4500 teachers are working on adhoc basis. Numerous action programmes and press statements have brought this issue into the public domain. Ever since restructuring started with semesterisation in 2010, teaching posts in colleges have not been filled. This exposes the connection between academic restructuring and the unstated ban on permanent appointments. Despite repeated letters from the UGC asking the University to fill the posts, teachers have not been hired. However, whenever the DU administration felt threatened, it announced that appointments would start (as it has done once again in the face of the DUTA elections). Hiring teachers and non-teaching staff on contract/adhoc basis must be seen as an austerity measure. This has not only pushed young teachers into a state of permanent uncertainty but also harmed the institutions. It has weakened unions, which are unable to sustain struggles for legitimate demands. It is essential to sharpen our struggle on the issue. We appeal to teachers to come together to prepare for more radical struggle. There has been an inordinate delay in promotions, the situation is even worse in the departments where even the old scheme is being used selectively for departments and individuals. DUTA has unitedly fought against Point Based Appraisal System (PBAS) with its completely unacademic approach of quantifying teacher’s per-formance and enhancing the powers of the administration; it is a design to deny promotions. It is also a scheme which will shift the focus from collective growth, a fundamental need of institutions, to a never ending race to collect points. Despite the fact that many universities had adopted PBAS, a united and well-argued struggle launched by DUTA had forced UGC to reconsider the regulations. The Revisit Committee, constituted for the purpose, made positive recommendations. The MHRD turned down these recommendations and brought back PBAS through the notification of 13 June 2013. 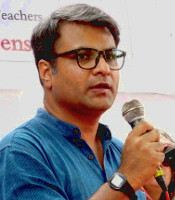 While the DUTA will have to continuously argue against this anti-teacher and anti-academic regulation, we need to intervene immediately to ensure that ordinances adopted by Delhi University on the basis of these regulations are as rational and pro-teacher as possible and demand that these regulations come into force only with effect from the date of adoption in the Executive Council. The DU administration also functions by protecting tainted officials / principals and victimising upright and conscientious teachers. In various colleges, IP, Bhagini Nivedita, KM or Kalindi, teachers have been harassed and persecuted with suspensions or show-cause notices. Tainted Principals, notably those of KM and ARSD, with serious charges against them, have been protected and rewarded by the DU administration. Persons accused or convicted of gross misconduct including of sexual harassment were handpicked as delegates of the Academic Congress, as members of the Task Force to prepare the FYUP or as OSDs of colleges. Ad Hoc teachers: The DU administration has not even allowed temporary appointments against leave vacancies. The EC guidelines for Ad Hoc appointments, meant to curb adhocism, are being misused to harass ad hoc teachers and force them to appear for interviews every four months. Such appointments are being used to deny teachers vacation salary. The guidelines must be revisited to stop exploitation. UGC Reservation guidelines of 2006: The DU administration has been violating the UGC guidelines of 2006 in both letter and spirit. It is not implementing the correct roster, not displaying it on the website and not filling reserved posts including the backlog despite repeated letters from the UGC and MHRD. We must make the UGC intervene to ensure implementation. Pension: Settlement of CPF/GPF conversion. Speedy fixing and release of pension of retired teachers; tax exemption on earned leave encashment. Restoration of assured pension scheme for those joining service since 1.1.2004. Attendance System for teachers: Delhi University has earned its name through the work of generations of teachers. It is our firm belief that the teachers’ movement can advance only if we as teachers ensure an academically sound environment for students. We see the insistence on any system of attendance as part of increased surveillance rather than as a measure to curb absenteeism. It is blind to teachers’ contribution beyond class hours, hampers their academic work and can be misused. We must resist it in every possible manner. Undue interference by Registrar: Repeated interference by the Registrar in matters related to Special Casual Leave and Project Overheads must be stopped. The Registrar’s officious and arbitrary functioning is in keeping with the administration’s attempt to usurp the decision-making prerogatives of Departments and Colleges. Her undue influence on administrative processes and statutory bodies has contributed to the fear and distrust with which teachers have to approach the authorities. Stepping-Up of Pay: Some teachers continue to be paid less than their junior colleagues owing to a serious oversight in the pay-structure currently in effect. Despite pointing this anomaly out on several occasions, the UGC has failed to correct it. The stepping-up of pay in such cases needs to be done without any further delay and in consonance with the DOPT’s instructions in similar cases affecting Central Govt. Employees. Medical Facilities: Given the rising costs of medical treatment, we must get a scheme of full reimbursement rather than the restricted operation of the direct payment system and reimbursement only at CGHS rates even when hospital charges are much higher. Examination System: Ruin has been imposed on the Examination Branch, with its functions passed on to Departments and Colleges including many aspects of paper setting, translating questions into Hindi, getting them typed, and even printing and distribution of question papers as extra burdens on teachers. While genuine examination reforms have been shelved, arbitrary decisions have been imposed. Arbitrariness in results has put a question mark on the sanctity of the examination system and has led to devaluation of the DU degree. Denial of leave, in colleges and university departments, has become a recurrent phenomenon. Questions are raised about who would do the teaching / administrative work if leave is sanctioned. With the increasing shortage of permanent staff, this issue is acquiring alarming proportions. Child Care Leave is being wrongly clubbed with other academic leave and made subject to 10% quota leading to denial / long queues for both kinds of leave. Parity for Librarians with teachers in designation and retirement age. Parity must also be extended to instructors, the academic staff of the Hindi Implementation Board and system programmers. 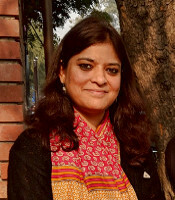 School of Open Learning: The lakhs of students of this institution face severe harassment with rapidly dwindling number of teachers, hike in fees (misused to finance other expenses of the University), inordinate delay in exam results and harassment or even denial of admission or migration to another institution, even within DU. Semesterisation and now FYUP have pushed students of SOL out of the mainstream. Professional Colleges: Denial of parity in pay and designation to teachers of RAK College of Nursing and Nehru Homeopathy College; rotational headship not adhered to in medical & other professional colleges; persisting autocratic and arbitrary functioning. Lack of facilities for differently-abled including appropriate infrastructure, study materials, assistance for evaluating answer scripts and assignments. Housing facilities need to be increased. A rational and transparent house allotment must be made available, with the roster on the DU website. The authorities want to smash our union. Will we let them do it? 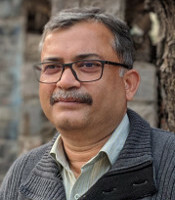 Can the autocratic DU Vice Chancellor and his self-seeking agents hope to suppress the anger and discontent in the mind of every embittered teacher by ensuring the victory of pliable and opportunistic leaders in the coming DUTA Elections? Will the DUTA become a mere memorial in the long history of teachers’ struggles for dignity, purpose and academic independence, which has shaped and sustained the prestige of our University? The DU administration led by the VC has spared no effort to divide the DUTA and destroy the dignity and confidence of teachers. The DUTA elections can have only one meaning and one objective at this point of time. The DUTA must be kept alive as an autonomous institution which works in the interests of teachers’ justice and an equitable and democratic teaching-learning environment. 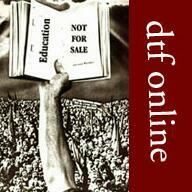 The DTF, committed to this objective, has fielded a team of dedicated and experienced activists. We appeal to teachers to make the forthcoming election a referendum against the DU administration, the Government and those teachers’ groups who have colluded to destroy our only instrument of struggle. DEFEND THE DUTA! VOTE DTF! SINCE ELECTION ARE OVER AND EXECUTIVE IS IN PLACE, DUTA MUST TAKE THE CASE OF CPF/GPF TEACHERS IN THEIR MEETING. Times are hard but ‘yoo hi ham nei kheilaei hein aag mein phool’;however every one should work without any break – ensure a historic victory for Nandita Narayan and her team. Her team members ,I am sure, would be able to win the heart of the voters- Elections come and go but the real achievement is to create an atmosphere that takes DU to new heights.